Your blogger today is F3’s very own customer service manager, Erin! When you spend time around other runners or triathletes these are the questions that inevitably come up. And for years I had an answer. First it was the Chicago marathon. Then Milwaukee and Las Vegas Marathons. Then it was a series of half marathons, aiming for a PR. Then it was the Illinois Marathon. Then it was my first sprint triathlon. Next came my attempt at a 5K PR. Most recently it was the Miami Marathon this past January. But now? Now I don’t have anything on my calendar. But that doesn’t mean I’m not working out! Nope. I’ve just moved my energies into weight lifting. 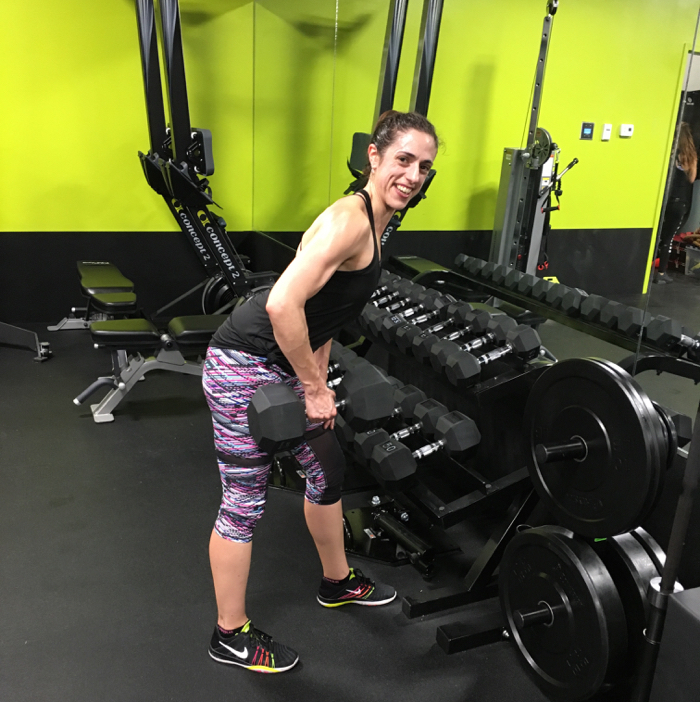 In between my day job, answering the emails that come into the F3 inbox, planning the F3 packet pickup schedule, volunteering for Toastmasters, managing my own blog, and keeping my dog (and husband) occupied, I go to the gym and lift weights 4 days a week. I have a goal of eventually being able to deadlift 300 pounds (currently stuck at 245), overhead press 100 pounds (stuck at 85), bench press my body weight and squat 200 pounds (so close on these). Sometimes runners think that weight lifting (aka strength training) is an off-season endeavor. But, those of you who run F3 probably don’t have an off-season! And, personally, I see weight lifting as a year-long need for runners. 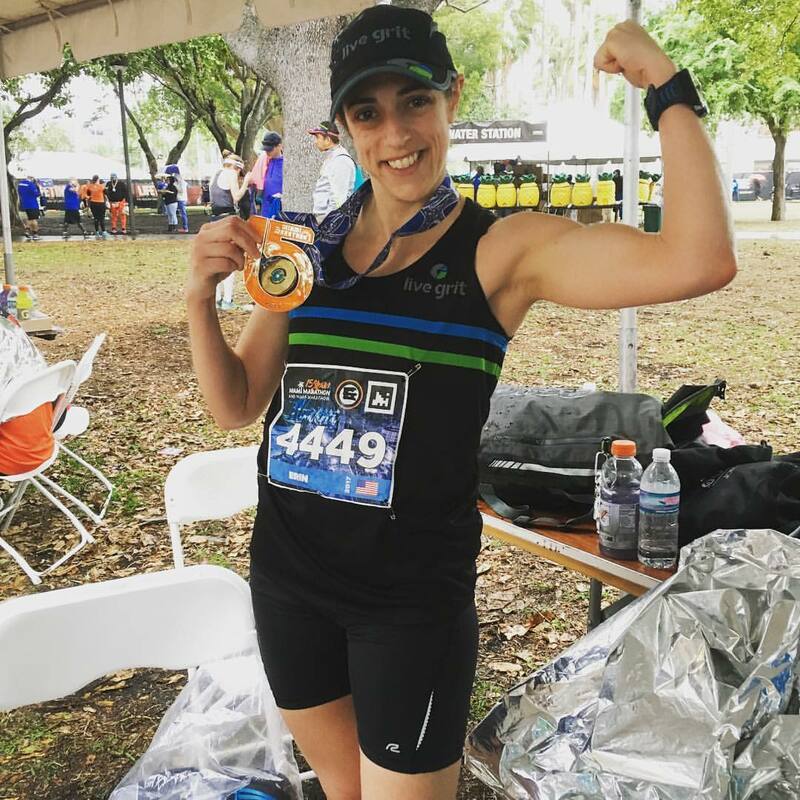 In fact, I credit weight lifting as the reason I was able to get myself a 45 minute PR at the Miami Marathon. So, F3 runners: don’t forget to pick up those weights! That’s what I’ll be doing when I’m not answering your emails or planning packet pick-up.